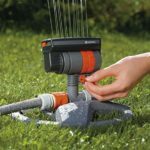 You are here: Home / know how / How to make hose reel? 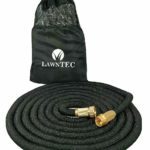 There is some best hose reel in the market available but they can cost you some bucks! 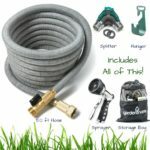 So, if you want to save about one or two hundred bucks or want to know how to make hose reel, then you are in the right place. 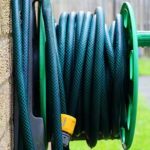 To store your best garden hose properly there is no alternative to a hose reel.Hose reel makes it easier to store your hose and make it long-lasting. 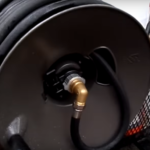 There are many ways you can store your hose.If you don’t have a reel you can simply store it to anywhere.You can use hose hanger, bag, some hand made tools or even the way you are seeing in the picture. 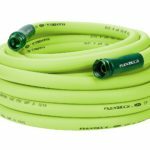 But you want to store your hose in the reel and also want to make the hose on your own.That’s why you are in this article, right! …plywood, old vacuum cleaner and a couple of Lazy Suzans. Those are the main things that you will need.You might need some other small things in the process. It is really tough to understand the process properly just by reading.So, watch the video first to understand the process quickly. 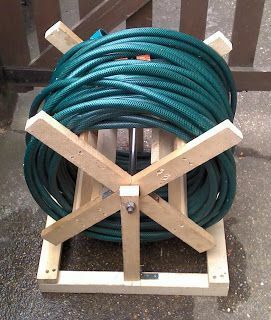 First of all, take the Plywood, make two circles with the same height and weight and slice it properly with the hand drill. Make the proper measurement and stick the piece of wood with the help of wood screw. 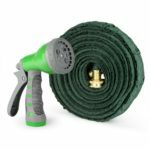 Make a holder for the hose. 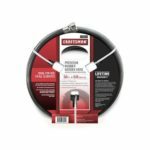 Make the holder such a way that the reel can circle through it. 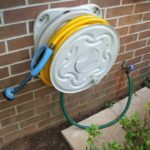 Place couplings in the reel with the pipe so that you can place your hose there. 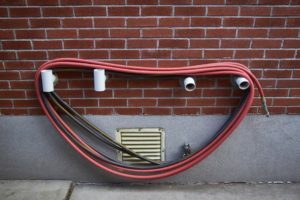 Now, keep your hose in the reel. 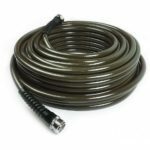 Those are the main steps of creating hose reel in a nutshell.Follow youtube and watch videos to make the reel beautiful as well as long-lasting. 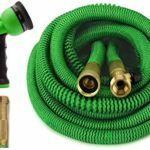 Watch the one-hour long video tutorial on how to make the hose if you desperately want to build hose on your own. 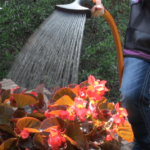 Finally, you should buy your hose reel if you don’t have the time and energy to build hose by yourself. 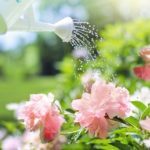 If this article was helpful to you, let us know.Shoot a comment below with any questions or comments you have, don’t hesitate to ask.You can also email us at mozgarden@gmail.com.Cheers! 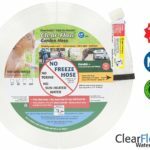 How to repair a hose reel?